Richard, who gave me my very first job as a graphic artist. He taught me how to cut and paste the old school way, and how to draw a straight line with a rapidiograph pen. He also had a world-class record collection and an amazing repertoire of puns and funny facial expressions. The scientists I worked with at University of Houston – what brilliant, interesting people! Stan, who took me to lunch in my starving student days and who got me freelance work with the American Chemical Society. Hugh, my lifelong counselor, mentor and friend who guided me through the dark days of finding myself. Joanna and Vicki, I am a better, healthier person for dance, and could not have had better teachers than you. Brian and James, my “Site-Seekers” dance buddies in the late 80s. Johannes, what a privilege it was to work on performance art installations with you and other collaborators in your company, AlienNation; in particular “Invisible Cities” 1989 and “Finally a Place” 2002. 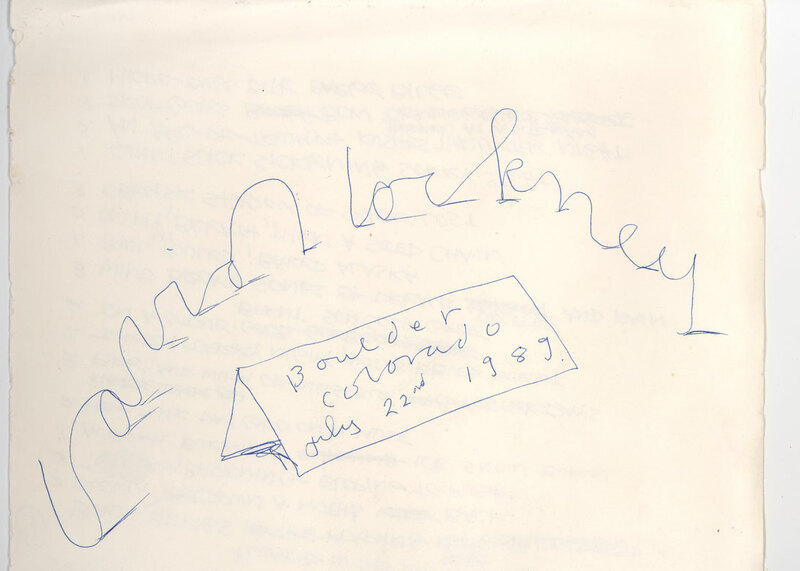 Allen Ginsburg, who sat with me just a couple minutes at a jazz festival in Boulder, CA and made me feel special (as he did with many of his students) and David Hockney, who gave me a really elaborate autograph. Ursula, Spencer, Mala, Harriotte, Perry, and my other ADVO, Inc. (advertising) cohorts with whom I shared daily walks and talks (and a TON of work!). Lisa, who gave me a job in Galveston’s only skyscraper and made me laugh out loud in church. All my friends and co-workers at the Museum of Life and Science – what a wonderful experience it was to work and trade stories with you all! Lars, my “adopted” German son, with whom my family took an epic 10-day, 6,186 mile road trip to every national park we could think of from Texas to Wyoming to California and back, while listening to his special compilation of the BeeGees. Kenyon, you inspire me with your talent and dedication to your music. 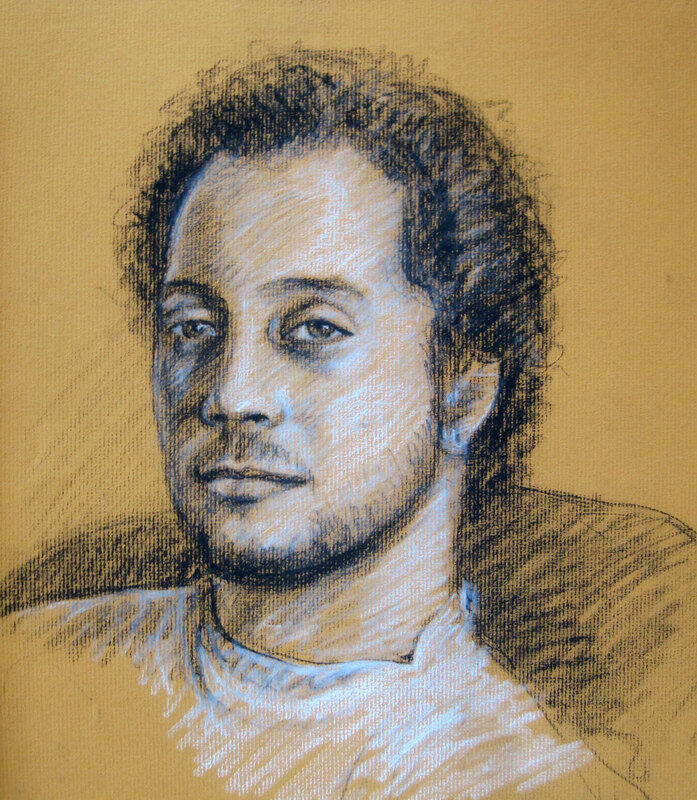 My husband Alfred, who has always encouraged me to “do your art”, and who took me through the breathlessly beautiful desert in Arizona and down the dazzling Highway 1 in California. Elephant seals have a special place in my heart. My grandfather Aldwyn, a.k.a. “Papa”, who played cards (“Stab Your Neighbor”) with my siblings and I for hours, who was the life of the party wherever he went, and incidentally in my 4th winter, pulled me out of a nearly frozen pond and resuscitated me. I named myself after him. My grandmother, who insisted we call her “Mawn”, who bred and showed boxers (and had shelves and drawers full of trophies and blue ribbons to show for it), who had favorite French expressions and showed me how to plié, relevé and walk with a book on my head (all which at the time I accomplished poorly). 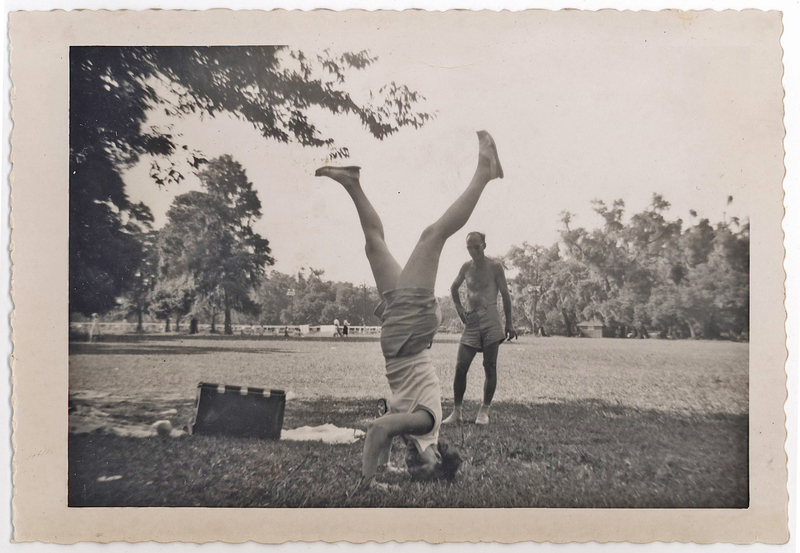 My aunt was the only adult I knew who could do a headstand. My aunt Margie, the only adult I knew (when I was a kid) who could stand on her head, who has survived hurricanes and a house fire, and at age 92 still has a job as a bookkeeper! My brother, who many times was the only one I could play with, as isolated as we were up on a mountain in the forests of New Jersey. My sister, who looked after my mother when she was ill, and who held us all together after my mother died. My father, who’d play Beethoven’s Moonlight Sonata on the piano for us as we drifted off to sleep. Dione, who caused a scandal when she married my grandfather (being 30 years younger), but who loved him and took the very best care of him after he had a stroke. She went on to get her own farm, where she organically raised beef and dairy cows, pigs, and chickens. She has many an entertaining story of chasing calves through the driving rain and such. My kindergarten teacher Mrs. Mitchell, and my elementary school music teacher Mrs. Jane Petersen. I loved them with my whole heart as a child loves, completely, wide-eyed, adoring. Mabel, my school bus driver with the most awesome flabby upper arms, who on the last day of school would take all the kids for ice cream at the Daz-O-Del. My good friends Mac and Nola; Nola who inspires me with her work with Operation Smiles, and Mac with his stories of growing up in the circus and World War II. Nola stroked my forehead with her cool fingers while I gave birth to my first child. Eva, Peter, Klara and Kory, who shared many a convivial holiday meal with us in Galveston. My childhood friend Diane with whom I got into endless, high-spirited trouble, and who sang soprano while I sang alto. Angela, who was my closest friend in high school after I moved from New Jersey to Houston, Texas, and who now takes lovely nature photographs, a couple which inspired my “Healing Ceiling” painting. The choir and friends at First Congregational Church, Houston, and to Rev. Bob Tucker, who kept my letters for me that I wrote when I was taking care of my grandmother in New Jersey. The choir and friends at Westminster Presbyterian Church, Galveston; resilient, warm and caring. The choir of West Raleigh Presbyterian Church, led by Tom Lohr, and other friends at WRPC. All my Facebook friends. All my Linked-In connections. And Laurie, my lovely NIA teacher, who leads me weekly in the joy of movement. Have I missed anyone? Hope this list continues to grow! I have another list, entitled “People That Have Helped Me With My Kids”, and to those people I owe an enormous debt, but that list is private.